At Dwyer & Coogan, P.C., we represent victims injured in all sorts of vehicle crashes. We also recognize that while different vehicle accidents may seem similar, every case is unique and accidents that involve a motorcycle require special attention. Learn more below, and contact our Chicago motorcycle accident lawyers to set up an initial consultation. Though they share the same roadways and are subject to the same traffic rules, cars and motorcycles are quite different. Motorcycles are lighter and more difficult to balance because they only have two tires. They also do not provide the same protection for riders that cars provide to their passengers. When a motorist or motorcyclist causes an accident through negligent behavior, they are liable for any damages victims suffer as a result. It’s important to contact an experienced motorcycle accident lawyer when involved in these situations. Similarly, motorcycle drivers are entitled to compensation for injuries while riding that are caused by the negligence of others, in spite of the general bias against motorcyclists that riders often deal with. An experienced personal injury lawyer can help you mitigate the claims process. Remember, insurance companies do not have your best interests in mind. A knowledgeable attorney can identify the most advantageous pieces of evidence and help you to better understand the laws surrounding your case. Instead of just going with the first Chicago motorcycle accident lawyer that comes up in your search, take time to find a firm with a proven track record of securing adequate compensation for their clients. At Dwyer & Coogan, our lawyers are on your side. We are here to help protect your interests, working to get the compensation that you and your family deserves. If you have been involved in an accident involving a motorcycle, contact our team at Dwyer & Coogan, P.C. today to schedule a free consultation. We are here to listen to every detail about your collision and provide goal-oriented legal advice and representation. Don’t wait to get in touch with a lawyer who will work hard for you. 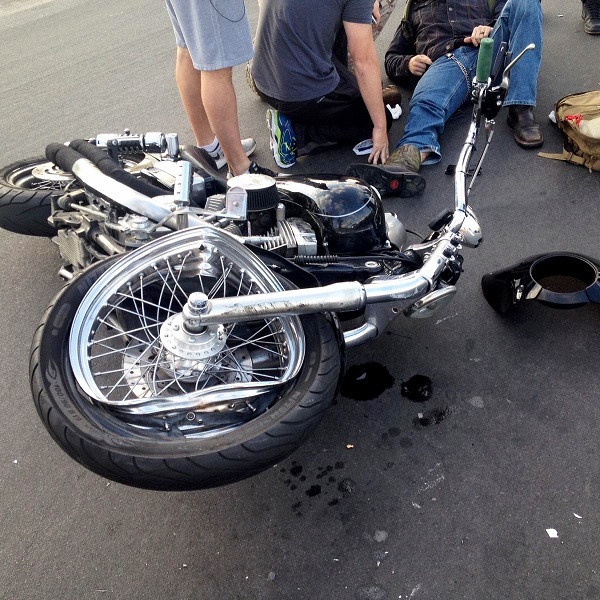 Contact our motorcycle accident attorneys today.